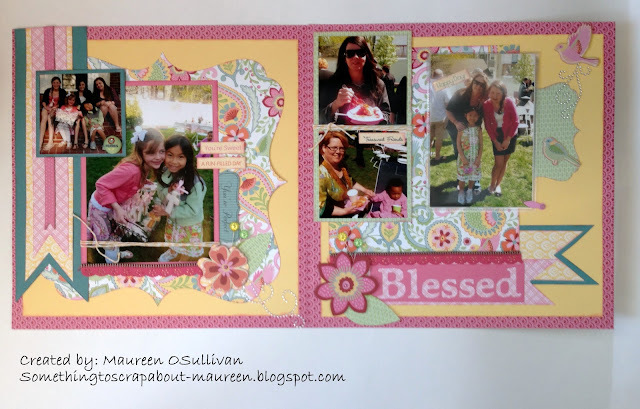 CTMH-- March SOTM Blog Hop!! Welcome to our Stamp of the Month Blog Hop! 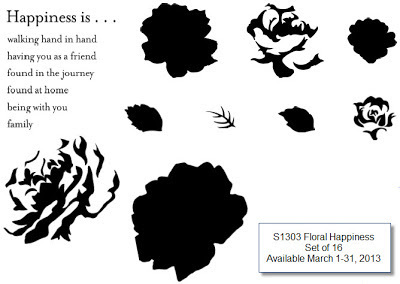 We will be featuring March's SOTM, which is Floral Happiness, a set of 16 stamps. This is a beautiful stamp set. If you have come here from Jean's Blog, then you are on the right path. If you get lost at anytime, then go back to Helen's Blog and start from the beginning! 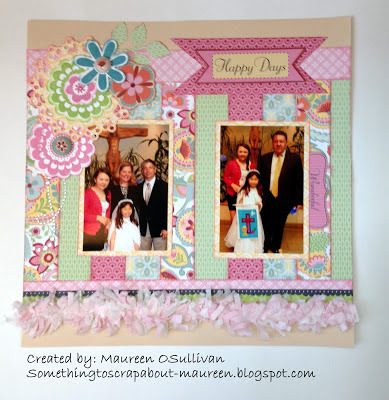 This month we have close to 60 CTMH Consultants sharing their creations. Well, I have to be honest that I wasn't wowed by this stamp. But this all changed once I realized that the flower resembled Peonies-- my favorite flower in the world! Growing up, my family also had Peonies. When they bloomed we'd cut a bouquet for ourselves. The fragrances is absolutely stunning. Can't wait for them to bloom again! My card was based on a Mojo Monday Sketch. 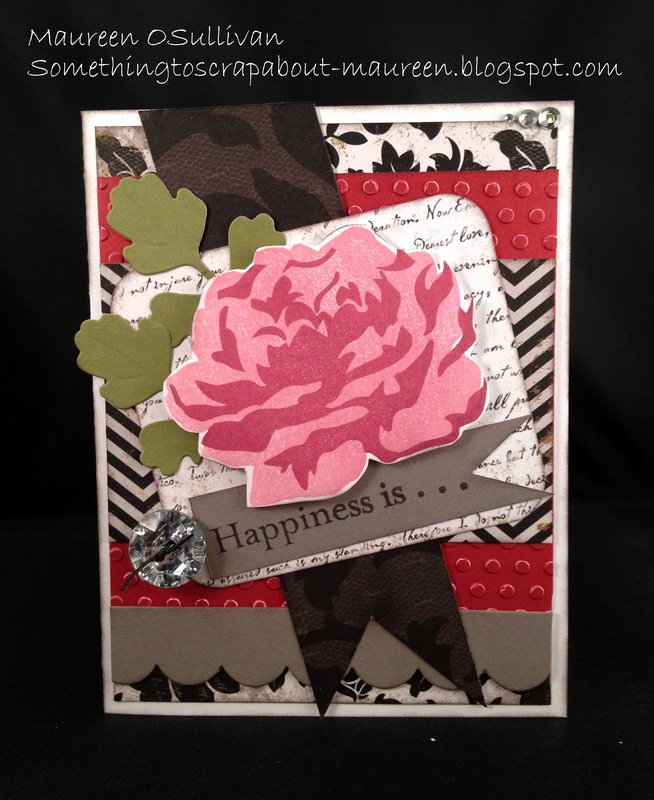 I stamped the Peonie flower using Blush and Ruby. 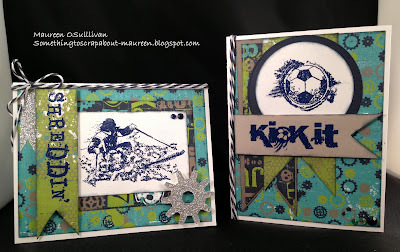 The paper pack was CTMH's new line-- For Always. If you need any of these items, please let me know or click the 'Shop Now' button on the right. Well, I hoped you enjoyed my blog. Please feel free to leave a comment or follow my blog-- I need some reason to keep doing this:) Next up is Nancy. Please be sure to see Nancy's creations at: Nancy's Blog. Hi, I got back from the West coast last night. It was hard to leave blue, dry skies in LA and Arizona to come back to Boston:( It was raining as our plane landed. This morning it was hailing and later snowing. 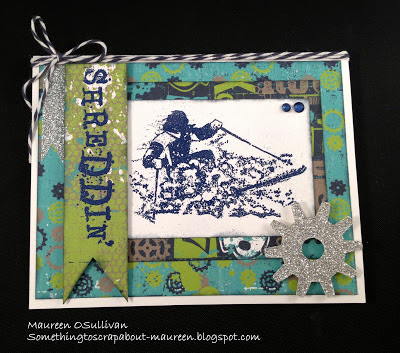 With all of this snow, I thought I'd take some time and make some 'sporty' cards using CTMH's Later Sk8r line. The new catalog has some new stamps that go with Later Sk8r. However, I had a few that I was dying to use: Power Heaven and Game On. 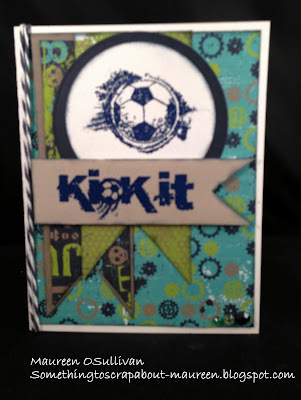 To make the image pop out and look life like, I used CTMH's Denim Blue Embossing Powder. 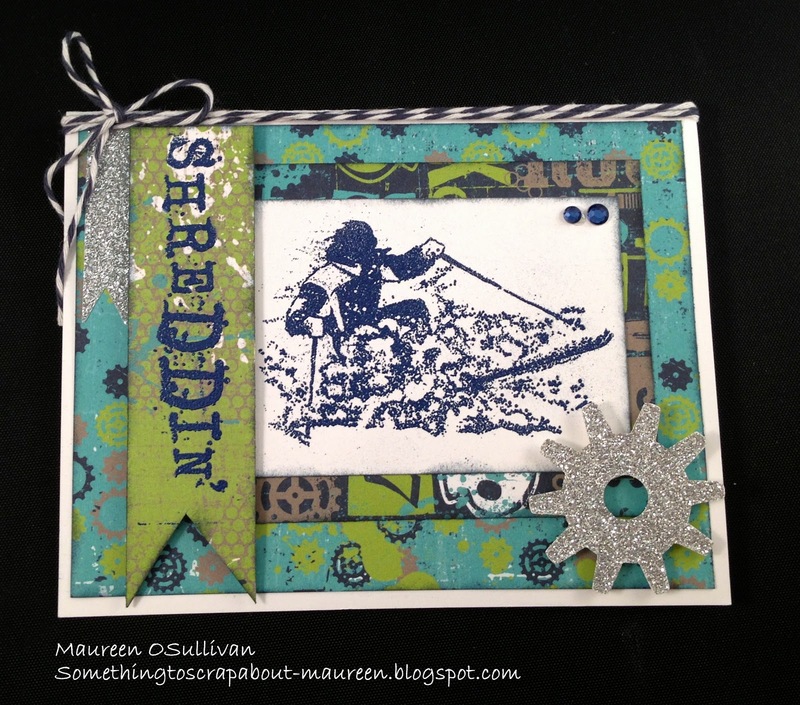 Hi, in honor of last week's blizzard I thought I'd post a winter LO that I did using CTMH's 'Later Sk8r' line. 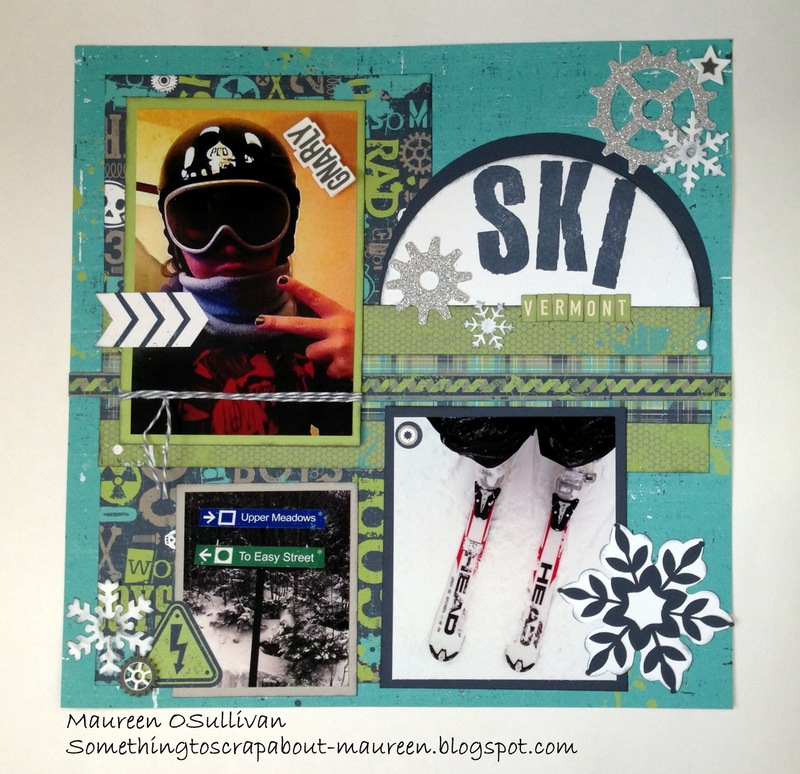 The paper can appear boyish, but it worked well on documenting my daughter's latest ski experience. 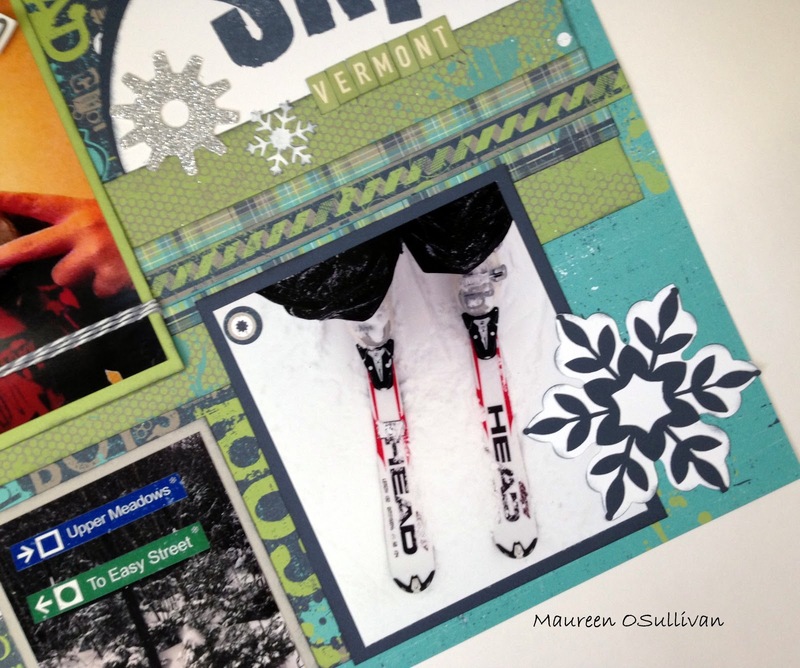 My daughter skied at Stowe in Vermont. She was a bit nervous about skiing, so I love the pictures she took of the her ski's and the trail signs! Gee, I wonder what trail she took?? 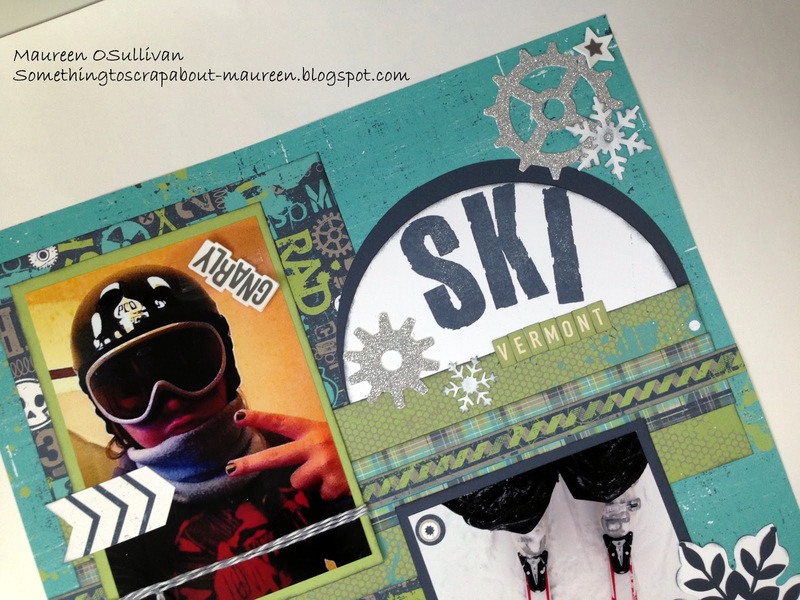 Paper: Later Sk8r Paper line (X7167b; Later Sk8r My Stickease Assortment (X7167c); and Later Sk8r Assortment (z1810). Other: Glitter paper-- Silver (z1829); Neutral Twine (z1701); Cricut Art Philosophy for snow flake. Inks: Outdoor Denim (z2140). 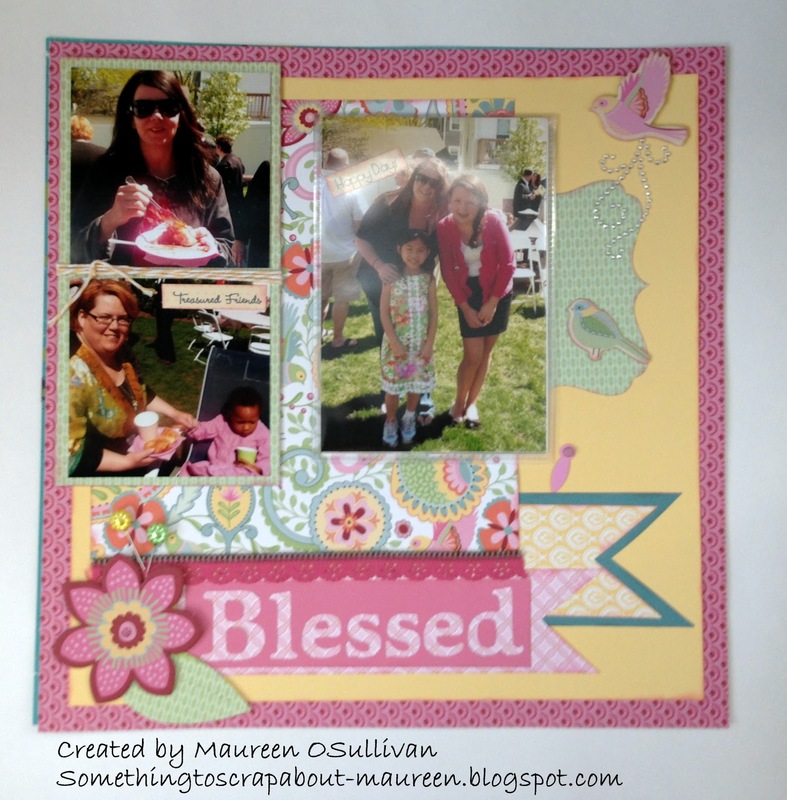 If you've arrived here from Joy's Blog, then you are at the right spot. There are 36 consultants participating in this hop. So, be sure to check them out! If you get lost throughout the way, then please go to Helen's Blog to find the way. 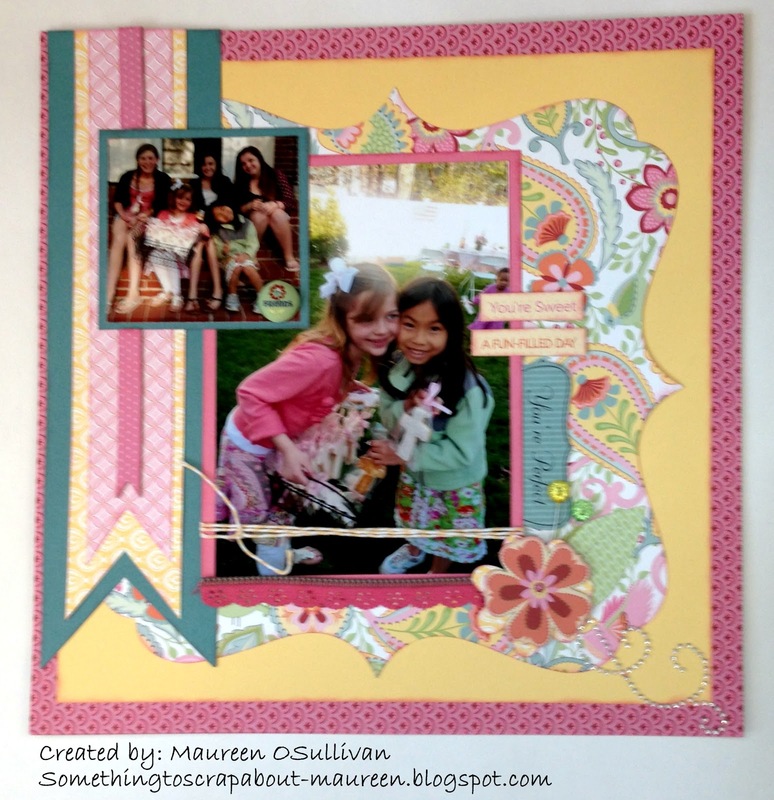 Well, if you haven't checked out the new CTMH Spring/Summer Idea Book, then now is the time. There are so many things to choose from-- new paper lines, stamps and accessories!! 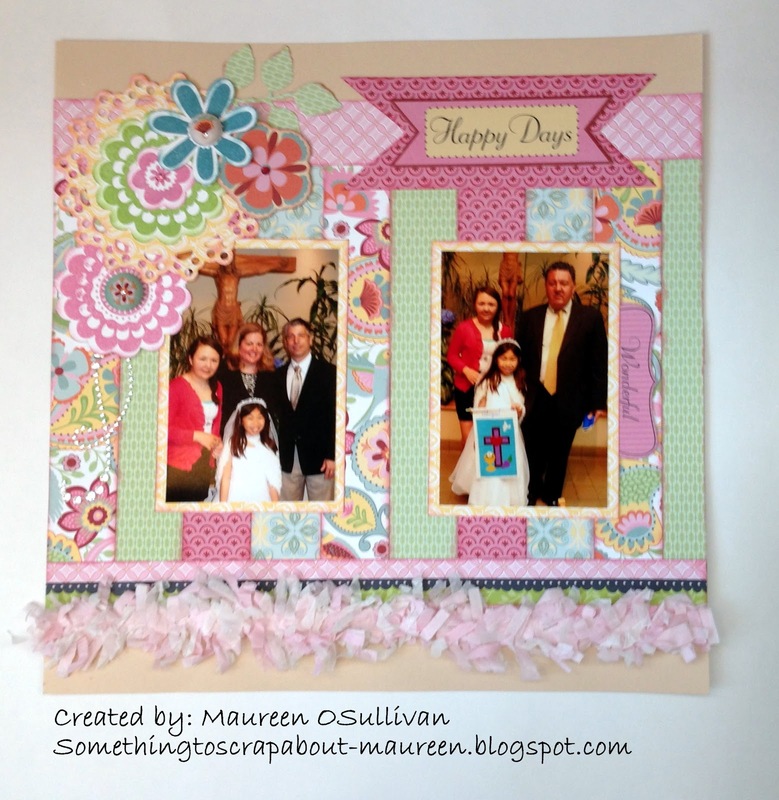 Today, I'll be showcasing the "Chantilly" paper line. I just love the colors-- it shouts out SPRING! After this past weekend's blizzard, I could use some nice spring weather! 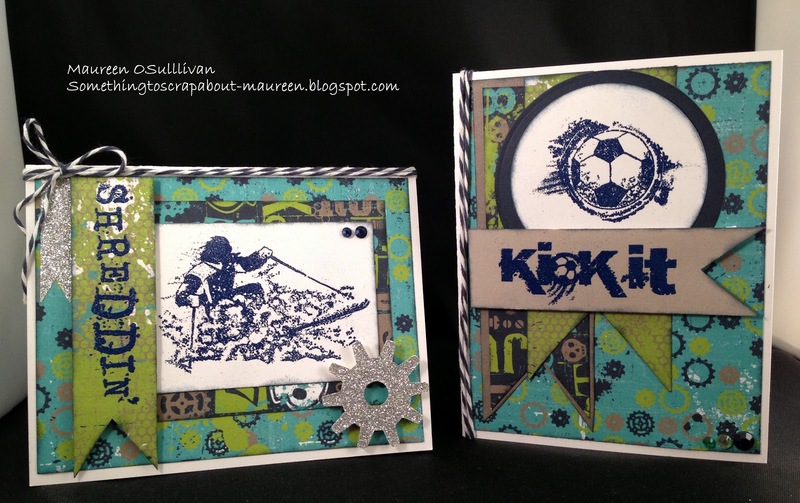 To cut the shapes on the left, I used CTMH's Art Philosophy Cricut Cartridge. For the banners, I simply hand cut them. Notice all the embellishments? The Chantilly line has matching dimensional shapes and coordinating zipper lace ribbon. For the flowers on the left, I used the 'Girls Rock' stamp set. 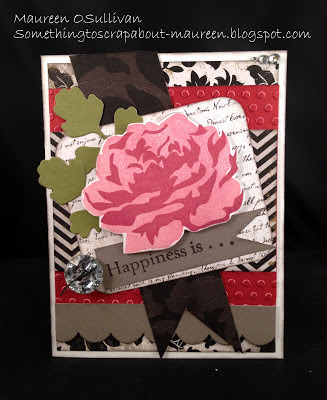 No need to cut out the flowers because the new Artiste cricut cartridge does the job! If you would like to buy these products or would just like to browse in my Close to My Heart online store, here is a link Maureen's CTMH.